Director Liz Carruthers introduce’s Shakespeare’s classic text about power and obsession, Macbeth. 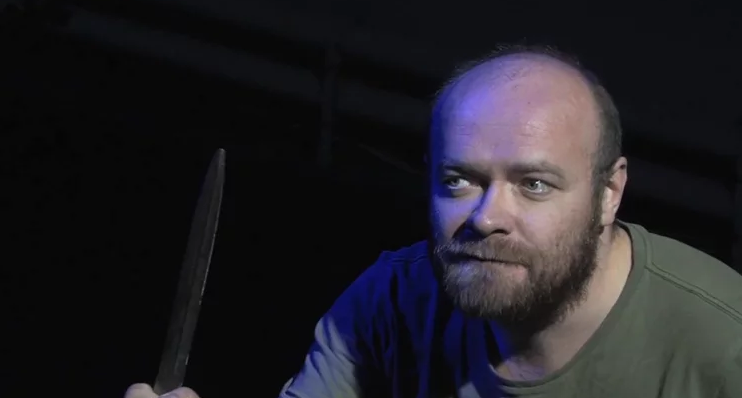 Translated into Gaelic, this two person performance shows the bloody and cruel path to power taken by Macbeth and Lady Macbeth. Liz Carruthers was born in Edinburgh and has been a theatre director for over 25 years. Liz is currently Artistic Director of Open Book, and has previously been a Scottish Arts Council Trainee Director at Perth Theatre, Staff Director at Chichester Festival Theatre and Artistic Director of Cumbernauld Theatre. As a freelance director, her work has been seen at the Citizen’s Theatre, the Tron, the Traverse, Assembly, The Arches, Gilded Balloon, Pitlochry Festival Theatre, The Purcell Rooms, Soho Theatre, The Gate, The Duke’s Head (Richmond) and touring venues all over Scotland and England.